If you want to prevent your bathroom mirror from fogging up in the morning, simply rub shaving cream all over the surface before hopping into the shower. 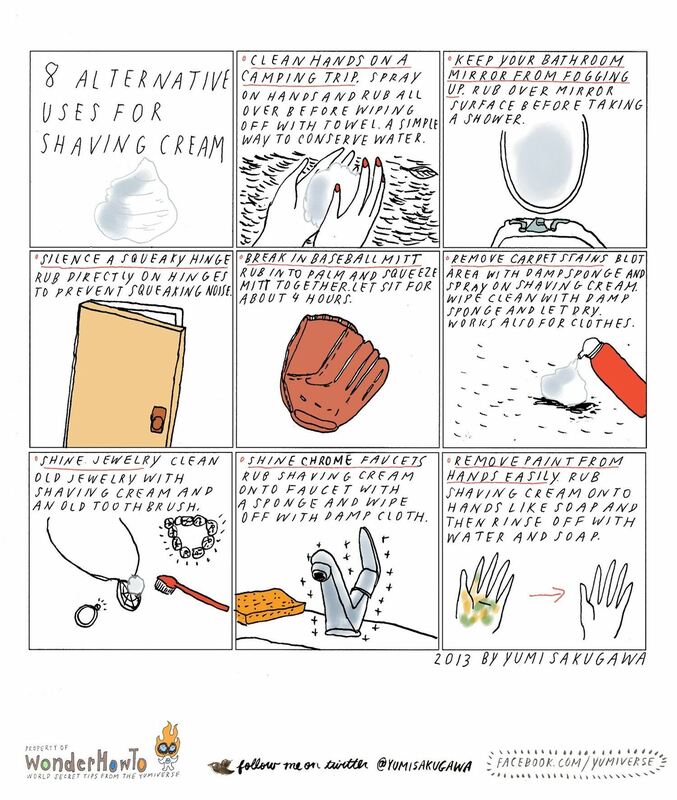 Shaving cream, a common bathroom staple for many people, can also be used to clean hands on a camping trip, silence a squeaky hinge, break in a new baseball mitt, remove carpet stains, and more. Note that the uses listed below are for shaving cream, not shaving gel. Got your own alternative uses for shaving cream? Share with us. How To: Make ping pong fun again!